This is most definitely heaven in a jar! On first look/smell I thought it was going to be overpowering and sickly, but I was so wrong! Inspired by the comforting scent of almond and coconut, this ultra-whipped scented soufflé body crème provides luxurious all-day moisture protection without being too heavy or greasy. Vitamins A, C and E are included for nourishment and Shea Butter for moisturising. 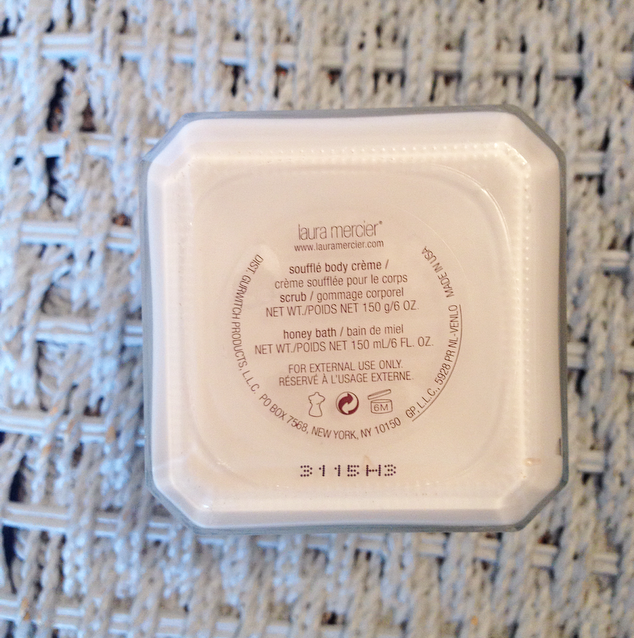 This Laura Mercier Crème gives the skin optimum moisture levels. Grape Seed and Rice Bran Oil condition the skin while Vanilla Extract and Honey offer soothing benefits. Sweet Almond and Hydrolyzed Rice Proteins, along with Pro-Vitamin B-5 provide moisture balance and protection. For skin that deserves the ultimate luxury, indulge in this luscious Body Crème. I love the packaging, the glass jar looks great on show in my bathroom. 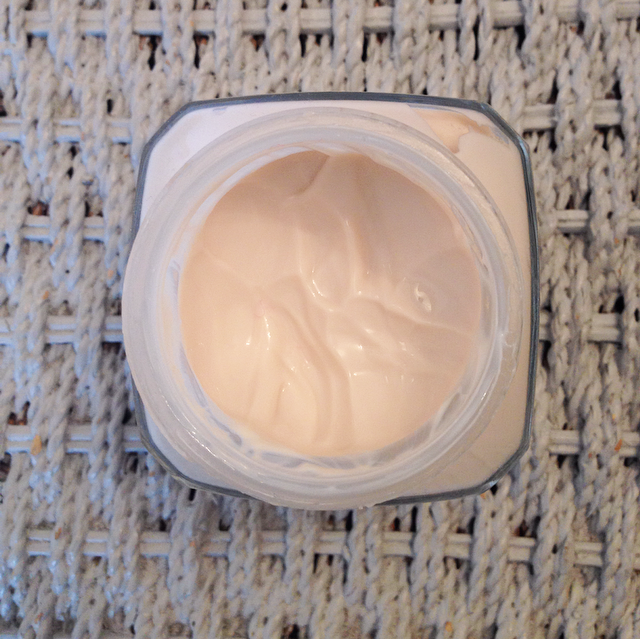 The consistency is whipped and thick , easy to apply and absorbs into the skin really well without any heaviness or greasiness leaving my skin perfectly moisturised for the whole day. The smell is delicious and apparently inspired by that of a French Patisserie, the sweet aroma almond and coconut are warming and lifting, it really calms my senses and puts me in a “feel good” mood. My skin is nourished and moisturised and give it a smooth luxurious feel. The perfume isn’t overpowering in my opinion however when I’ve applied this Crème I skip my spritz of perfume to avoid a clash! Some save their best creams for moisturising just arms and legs and use a budget option for the rest of the body but I just can’t help applying it all over as it feels and smells so good. 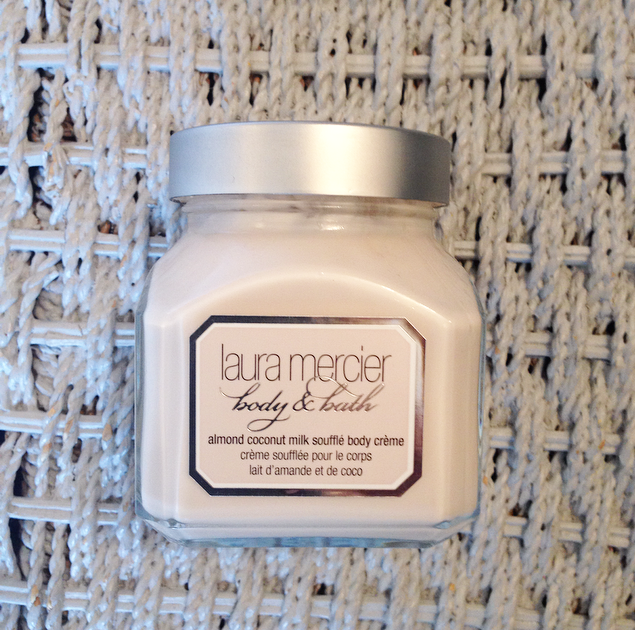 I’ve fallen in love with this ridiculously luxurious little pot Body Crème. The only downside is the price tag, it’s quite an indulgent luxury but so worth every penny!